I was just served with a writ of execution. What do I do now? Probably panic a little. Then either go bankrupt or get set up on a payment plan with the creditor. 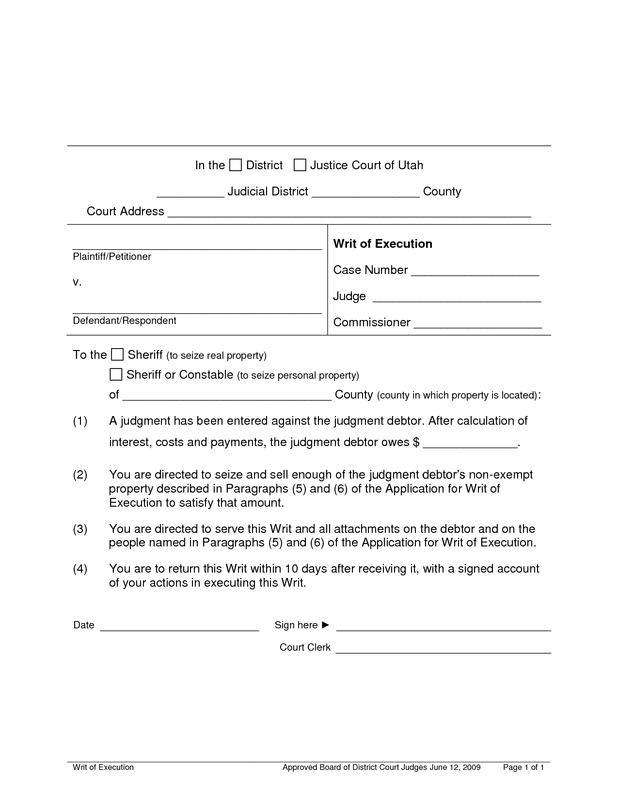 In Utah, when a creditor gets a judgment against you, they will normally 1. attach the judgment to your home, 2. file a garnishment application with your employer, and 3. try to levy your bank account. Sometimes, the creditor will have the court issue a writ of execution, where the constable serves you with a court document that requires that you do not sell or otherwise dispose of any assets. 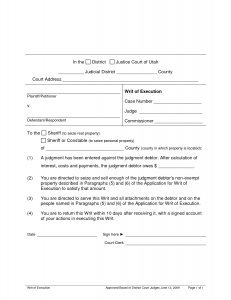 The writ also allows the constable to enter your home and take your personal property to sell it. Most people don’t have anything of real value that a creditor would want to sale at a personal property auction. This means that the constable will try to focus on guns and electronics, like your ipods, cellphones, and even your son’s xbox. If you can file bankruptcy, do so. This stops the writ. If you can’t, then set up a payment plan with the constable, because otherwise, he will take your property and sell it.